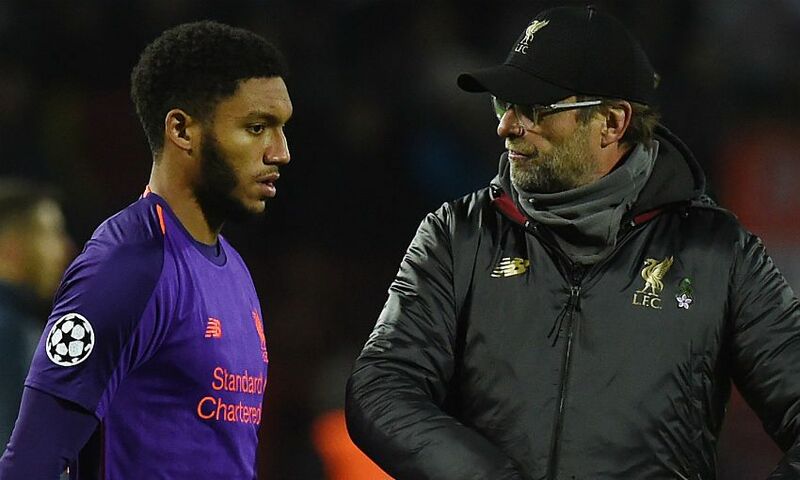 Jürgen Klopp reflected on a blow for both player and team following the news of Joe Gomez’s injury. Liverpool confirmed on Thursday that the defender faces a spell of up to six weeks out with the lower left leg fracture he sustained during the 3-1 victory over Burnley a day earlier. Gomez himself issued a message to Reds fans on Friday, in which he stated his intention to return stronger. And, while acknowledging the disappointment of losing the England international during such a busy time of the season, Klopp has backed him to play an important role in his side once again following his recovery. “It’s just a shame for the boy [and] for us of course as well,” the boss said. “He was in outstanding shape. He helped us a lot, especially because we could make these changes with Trent and Joe. That was really important because Trent is still a young boy and we cannot push them through 20 games in a row. “He would probably say it was possible but I think it’s just responsible that we have a little eye on that, and Clyney was not available in that moment [so] then Joe played there and it helped us massively. Now Clyney is still not here and Joe is out, so of course it doesn’t help a lot. “Together with Virg he improved so much in the season, it was so nice to see exactly what everybody in the scouting department at Liverpool expected him to do. I’ve said it already, when I came in everybody was full of praise for him and I didn’t see him in training because of the injury he got with the U21s. “Since then it was good, last year of course was very long but then [he] unfortunately [got] injured and now this injury. “I would say it is a bit of luck because it could have been worse. So six weeks for us is massive, I can’t even count the games we have in that period, but that means as well that he will be back for a big part of the season still and that’s good. When asked whether he has a contingency plan at right-back due to the fact Trent Alexander-Arnold is currently his only fit, recognised option in the position, Klopp replied: “I have a plan, yes. We will see what we will do, but we have still other options.